FLECONN can supply M8 / M12 circular connectors and sensor / actuator cable cordsets achieving at IP67/68 waterproof rating. They may be used in the industries of factory and equipment automation. International manufacturer and supplier of standard and custom connectors including circular M5 M8 M12 M16 M18 M23 7/8" connectors. 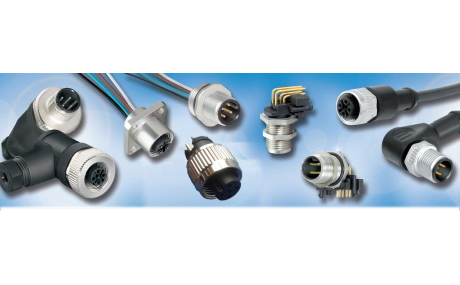 These circular series of connectors are available as power connectors, high speed signal and data connectors. Signal connectors have voltage rating of 5V, 12V, 24V, 30V, 60V, 120V, 240V. M8 M12 connectors are available in 90 degree right angle and straight versions. These circular connectors are designed for use in harsh environment applications such as heavy equipment, rail and mass transit, process control and factory automation. M5, M8, M12, M16, M18, M23, 7/8" connectors are SAE-J-2839 and dustproof waterproof level IP 67/68 standards compliant. These connectors are classified as soldering and screw terminals type, front and back panel mounting type, 3 4 5 6 8 12 16 pins / poles / holes male and female connectors, A code, B code, C code, D code, S code, T code and X coding connectors to prevent connecting error. M5 circular connectors are applied in the connection between sensor and automation controlling system, actuator and automation controlling system. M5 sensor connectors and actuator connectors are classified of M5 injection molding and straight inserting male/female connector, M5 PCB panel front mounted female connectors, M5 plate type soldering straight male connector with self-locking thread and tail end locking type, PCB installation type M5 male connector, board type front/rear mounted female connectors. 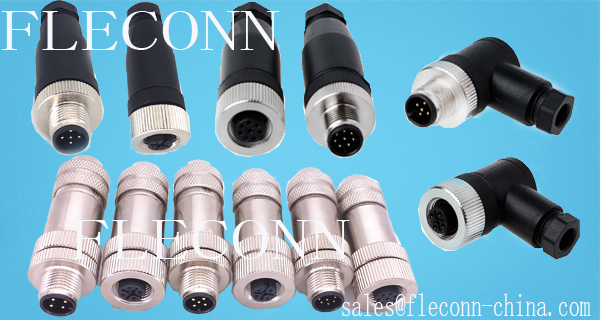 FLECONN can custom M5 sensor cables with various cable length and 3pin, 4 pins male connectors, 3 contacts, 4 contacts female connectors. M8 Connectors have the features of waterproof, oil resistance, cold-resistant, stable performance, high efficient and fast connection, it is widely used in photoelectric switch, proximity switch, sensor and all kinds of industrial wiring system. 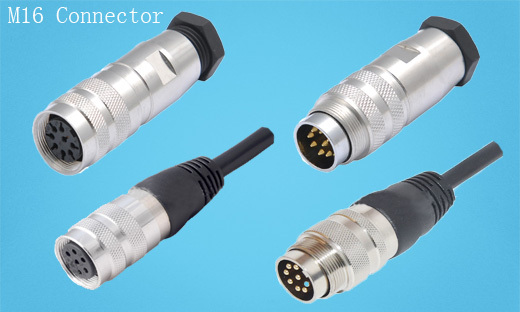 M8 connector, also known as sensor connector, is divided into two types of connector with cable and without cable, M8 connector cable outlet has two types of 4-6 and 6-10 optional.The length of the cable has 1 m, 2 m, 5 m and 10 m.
M8 connectors have male and female and male connector with needles, female connector with contact holes, adopted screw connection, enclosure protection class is IP67, at the same time, it is also classified by straight head and elbow. M8 connector has been widely used in outdoor light boxes, construction machinery, iron and steel production equipment, power equipment, mining machinery, ship machinery, automotive equipment, automatic production equipment, temperature sensor, hydraulic machine, sensor, electromagnetic valve, instruments and meters, pressure transmitter, etc. M12 circular connector, made by international standard, number of cores has 3 pin 4 pin 5 pin 8 pin,12 pin. According to international standards, it is used in various fields and is one of the major electronic components connecting signal. M12 connector with a high signal integrity and excellent performance is a type of high standard connector conforming to the European Union standard. M12 circular connector, combining characteristics of power cable and data cable, with the characteristics of little occupied area and reducing the cost of installation, is suitable for process automatic control and industrial application, automation equipment, electronic equipment, electronic instrumentation, sensors, commercial transportation, and military/aerospace applications. Using 4/5/8 contacts, each contact is able to carry the highest current 4A. Products is made by injection molding technology and it can ensure perfect IP67 seal class and provide the reliable stress relieving capacity. Classified according to outline shape: circular electric connector (also divided into M12 connector, M8 connectors), rectangle electric connector (overloaded connector). 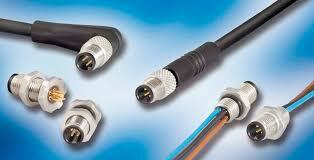 M12 connectors have the effect of signal connection between all kinds of instruments and equipment. M16 Circular Connectors have field attachable Male Plug and panel mount female receptacle. M16 series brass nckel plated flex body connectors can reach IP67 waterproof and dustproof class when mated with compatible connector. The A-Code connector has 3, 4, 5, 6, 8, 12 Pole / Pin solder terminals. This series connector can be used in automation sensor connection. M16 cable assembly is built using high quality custom BEI standard cable consisting of four, low capacitance twisted pairs (AWG 24) with an overall shield, provides excellent noise immunity. Extra-large conductors (AWG 22) for power and signal ground, all within an abrasion-resistant PVC jacket create a durable cable for a variety of applications.